I hope the following information will give the disabled holiday maker and their family a clearer idea of the facilities we have on offer at Primrose Hill. Whilst realising that individual needs are all so different we have listened to guests comments and implemented suggestions wherever possible. I hope this will be of help to you... But please ring or email me. The approach to Primrose Hill is now marked with a brown tourist sign onto Wood Lane which is privatly owned , it is rather bumpy but several hardy electric wheelchair uses have negotiated this. 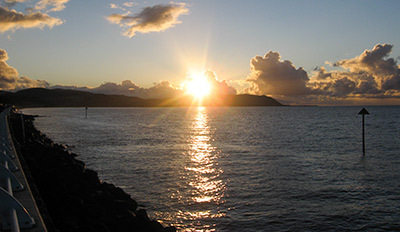 Once you have come up the drive all the accommodation and facilities are on a level and car parking is a few yards from your front door. We do like to have the opportunity to speak to guests on the phone before a booking is confirmed so any special requests or requirements can be discussed. We personally greet all our guests whenever possible. If special equipment has been requested then this will be already in your bungalow. All our bungalows have level access, wide doors and Rick and I will happily move furniture around to make life easier. We do prefer to do this ourselves so please do not struggle yourselves but just ask! The view is always a surprise to guests new to Primrose Hill....A picture does not do it justice. 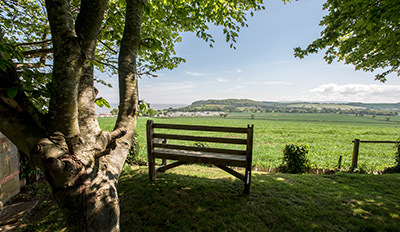 There is ramped access to your private garden enabling you to enjoy the wonderful views over Blue Anchor Bay and the Quantock Hills. Enjoy the evening sun with a glass of wine in hand in the shared front gardens with views of Dunster Castle and toward Exmoor National Park ...Perfect!! 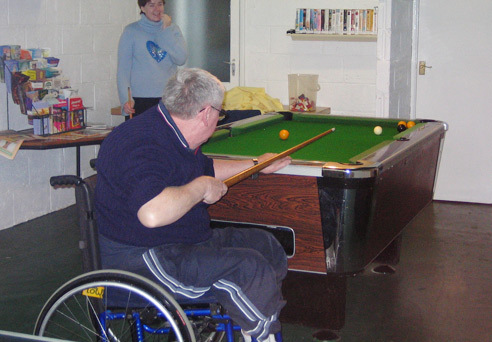 All the bungalows have good-sized tastefully furnished lounges suitable for wheelchair users. An upright chair, foot stool and side tables are available on request. Ash also has a separate dining room. Oak, Beech and Ash bungalow have bedrooms suitable for those guests who need to transfer into bed from their wheelchair. Ash and Beech also have an electric bed. 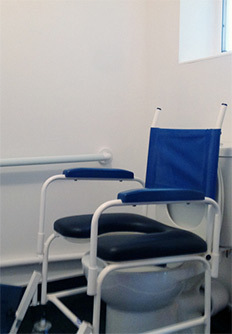 Commodes are available on request. Our kitchens are fully equipped. Beech has low level units and all work well for a wheelchair users. Oak has a lower pull out shelf suitable for preparing food and Oak and Ash wheelchair access to the sink. 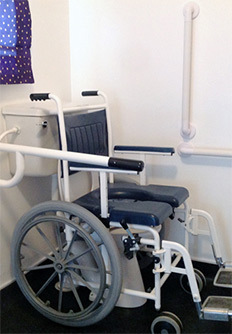 The wheel in wet rooms in Ash, Oak and Beech are equipped with Devon rails around the loo and grab rails by the basin and shower. 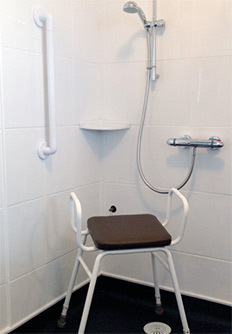 Elm's smaller wet room has grab rails and can accommodate a toilet frame with a raised loo seat. 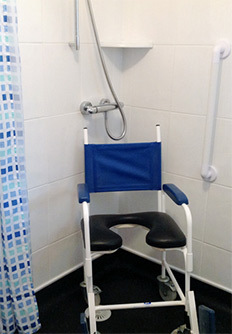 On request shower wheel chairs and perching stools are available to make life easier in the shower room along with raised loo seats. All the wet rooms have a shower stool. If a hoist is required this can be hired from Orchard Mobility, 01823 253310 ( Please contact Jo if you do not get a respose). This is at an additional charge but will be delivered to Primrose Hill ready for your arrival. Wheelchairs, along with most other equipment, can be hired from the Red Cross , 01823 273746. We hope this information has been helpful. If you require more details of the facilities available at Primrose Hill, please do not hesitate to Contact Jo at any time.